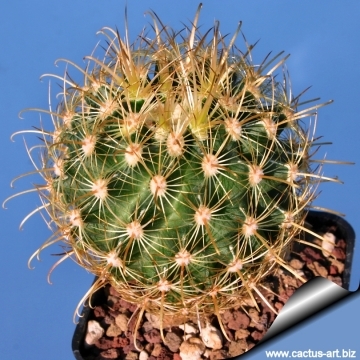 Accepted Scientific Name: Sclerocactus scheeri var. megarhizus (Rose) nov. comb. ined. SB597 Llera, Tamaulipas, Mexico. 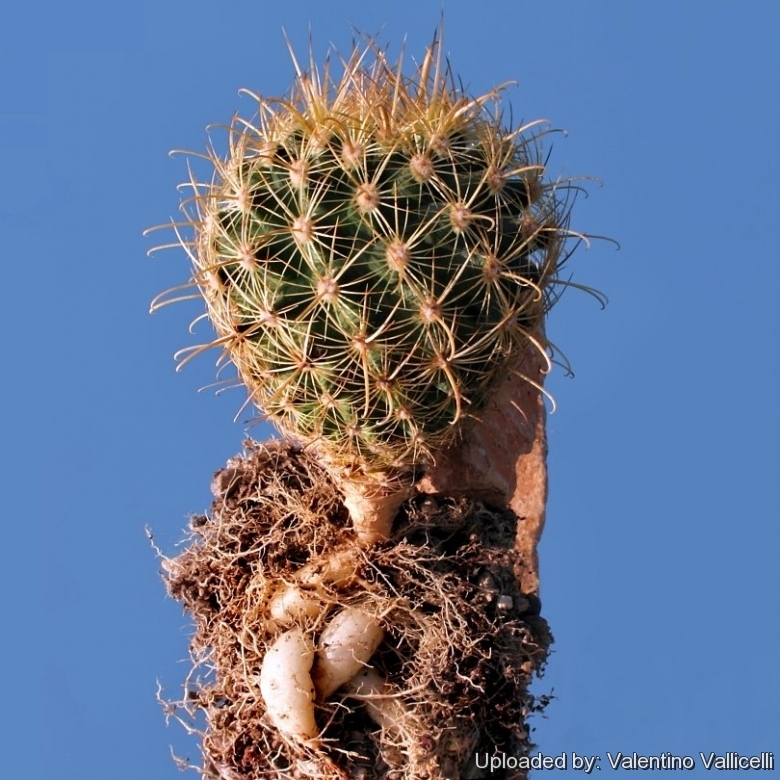 The peculiar characteristic of this species species are the long, fleshy, tuber-like taproots. The natural hooked spine, was used by Indians to catch tiny fish. Origin and Habitat: USA (Texas); Mexico (Nuevo León, Tamaulipas). Habitat: Grows under drip line of brush in Tamaulipan thorn scrub community, on plains and low hills, sandy, loamy, silty, or gravelly soils. 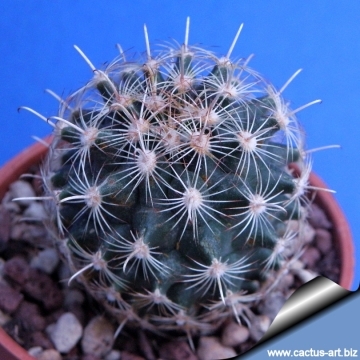 Sclerocactus scheeri var. megarhizus (Rose) nov. comb. ined. Ancistrocactus megarhizus f. gonzalesi n.n. : is a local or morphological form not easily differentiated from the standard Sclerocactus scheeri var. megarhizus. Distribution: Gonzales, Tamaulipas, Mexico. 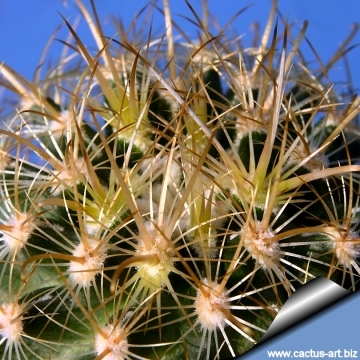 Sclerocactus scheeri (Salm-Dyck) N.P.Taylor: Solitary cactus with a cylindric to club-shaped stem. Radial spines 13-28 per areole; central spines 3-4 per areole; one of which hooked. 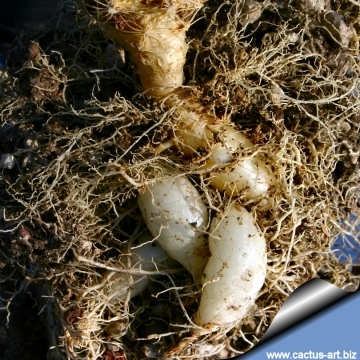 Roots frequently horizontally oriented, strongly tuberlike and always separated from the stem by a fragile constriction. 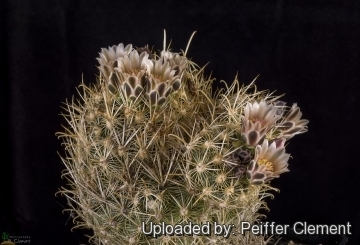 Sclerocactus scheeri var. megarhizus (Rose) nov. comb. ined. : The peculiar characteristic of this species are the long, fleshy, tuber-like taproots. Notes: Ancistrocactus scheeri is relatively similar above ground to the related species Ancistrocactus brevihamatus, but the roots of Ancistrocactus scheeri are frequently horizontally oriented, strongly tuberlike and always separated from the stem by a fragile constriction, in contrast to the short, succulent, vertical taproots of Ancistrocactus brevihamatus; and also the stems of immature Ancistrocactus brevihamatus, are not obscured by spines and are often flush with the soil surface, whereas those of Ancistrocactus scheeri are nearly hidden by spines and fully exposed above the soil. 5) Heil, K. & Terry, M. 2013. 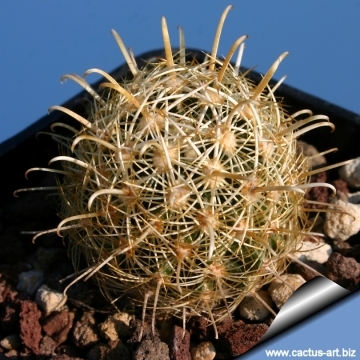 Sclerocactus scheeri. In: IUCN 2013. "IUCN Red List of Threatened Species." Version 2013.2. 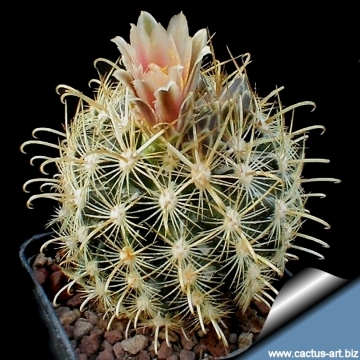 6) Ancistrocactus scheeri <http://www.efloras.org>. Downloaded on 08 March 2014.